The odds on Jermain Defoe joining Rangers from Bournemouth have been drastically cut recently from 7/1 to 12/5 following a recent flurry of bets, according to a leading bookmaker. Oddly enough, the exact same happened with Pedro Caixinha then Steven Gerrard, so while we’d argue ‘it’s only odds’, at the same time history teaches us it can be meaningful. Very much so. 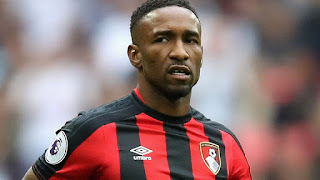 For his part Defoe is contracted till 2020 and has hardly been prolific for the Cherries, with only four goals in 23 league appearances, but nevertheless the 35-year old is reportedly on Steven Gerrard’s radar, with Rangers certainly in dire need of quality signings for every area of the pitch. Whether Defoe still qualifies we’re not absolutely sure, but his CV is certainly of a high calibre with well over 50 caps for England and a prolonged career in the EPL. He certainly doesn’t lack experience at the highest levels, that’s for sure. Time will tell if he is part of the impending revolution. Pele and Maradona have better CVs, more experience and more goals scored. Yet, like Defoe, they are too old to be improving our squad and have no sell on value. Be ready for a couple like him, they will arrive play a bit then join the backroom staff. Honestly don't know if he's done his tickets as yet, would expect at least 2 but probably 3 for obvious reasons!! Is this the road we are going down that we pay big wages for a bunch of old laddies on big wages that we can not sell on,can they even cut it up here week in week out? we have seen some old lads with big names come here and where no better in fact some where so rank it made me sick watching them.